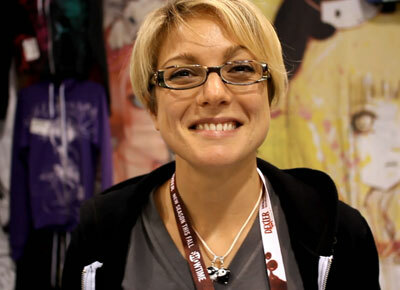 We spoke with AdaPia d’Errico about the works of her sister, Camilla d’Errico. She showed Camilla’s latest creations including Tanpopo and Sky Pirates of Neo Terra, which is coming out as a Facebook game later this month. The game is set in the world of Neo Terra and is described as a “Mario Kart in the sky”. This entry was posted in Comics, Conventions, Events, Games and tagged "AdaPia d'Errico", "Camilla d'Errico", "Sky Pirates of Neo Terra", interview, tanpopo, video, wondercon 2012 on March 18, 2012 by Mark Azali.